The standard ping pong tables size as required by ITTF is 9 feet long X 5 feet wide X 2.5 feet tall. Of course, the net is then 6 feet long X 6 inches tall. 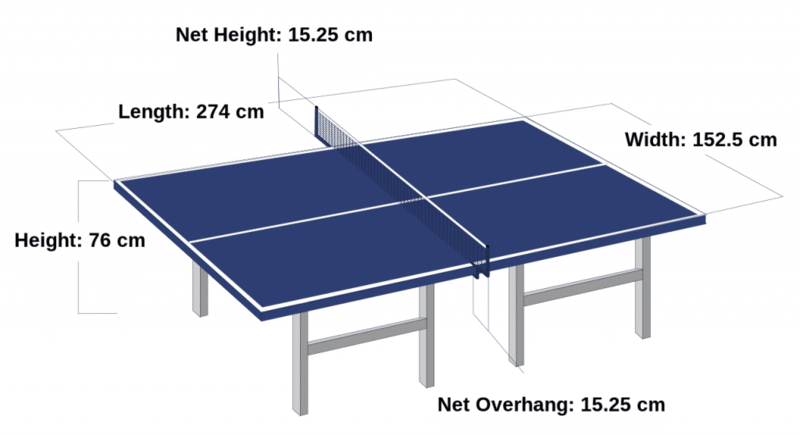 This picture shows the regulation size of a standard table tennis table. While this is the current size, the ITFF is considering a major change to the regulation sized table in 2018. Specifically, ITFF is looking to make the ping pong table size larger. They note as part of an initiative to continue the modernisation of table tennis, ITTF announces that as of Monday 1st January 2018 the table size regulations will be increasing to 6 meters long by 3.5 meters wide. We hope that you like this short but to the point summary of ping pong tables size. For our review of best ping pong tables see the home page. 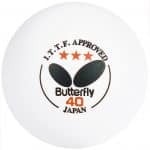 We also review the best ping pong balls here.